Indigenous peoples from around the world traveled to Paris in December 2015 for the COP 21 Climate Summit to advocate for their rights and to ensure that their states uphold them when developing and implementing climate change policy. 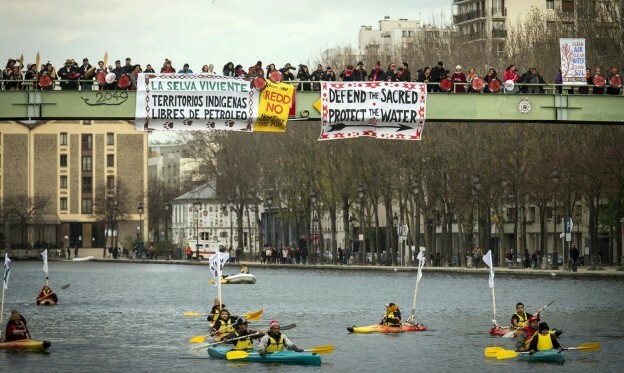 Indigenous peoples held protests, rallies, side events, produced formal proposals, and even canoed down the Seine to champion their cause. Including indigenous peoples’ human rights and the rights to their lands in climate change agreements is significant because they are often the first and the most negatively group affected by both climate change and the methods that combat it. For example, green energy projects, including hydroelectric dams (e.g. the Belo Monte Dam in Brazil), can cause massive displacement of indigenous peoples and a complete restructuring of the ecological environment. Recognizing indigenous rights within legally binding documents serves as a means to secure them, allowing claims to be asserted for those rights if and when they are violated. The United States, Norway, Australia, and European Union countries effectively precluded recognition of indigenous peoples’ rights within the binding sections of the Paris Agreement. They are mentioned only in the Preamble, the non-binding introduction to the Agreement, mostly in vague language that suggests states “should respect, promote and consider their respective obligations on human rights” regarding indigenous and marginalized peoples. The Paris Agreement requires that its signatories commit to working to stem greenhouse gas emissions in the next hundred years and to peak those emissions as soon as possible. But, the Agreement includes no specifics as to what kinds of policies must be implemented, when or how. It also encourages the public and private sectors to invest trillions of dollars in efforts to adapt to climate change through infrastructure and developing renewable energy sources. How these goals will be reached and the consequences for non-fulfillment are effectively absent. The reality that indigenous peoples’ rights were not formally addressed in the legally binding section of the Agreement is not just an ethical problem, it is a practical one. First, ethically and legally speaking, Indigenous Peoples, by virtue of being human, as well as by virtue of particular international declarations (i.e. The Universal Declaration on the Rights of Indigenous Peoples, UNDRIP), have specific rights regarding their homes – including forests, mountains, deserts, plains, islands – and their participation in the decisions that affect their homes. 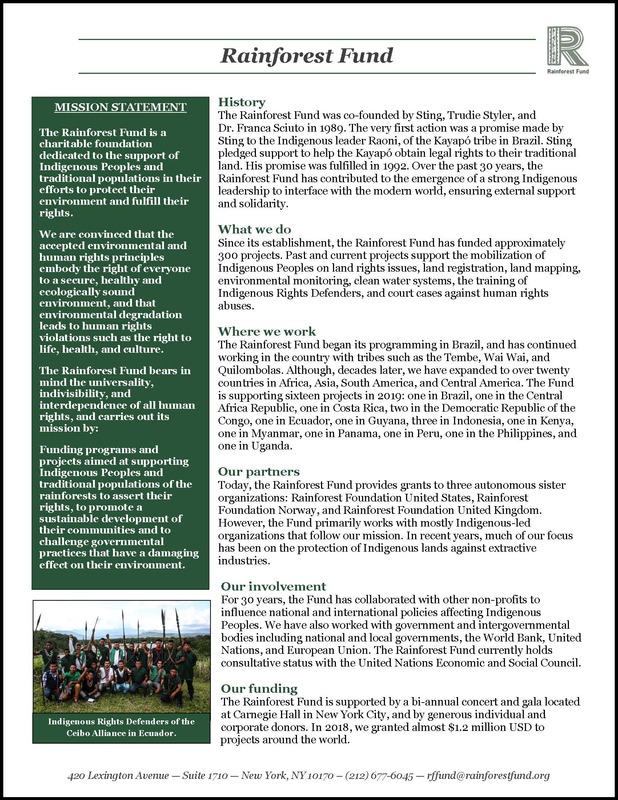 The principle of Free, Prior and Informed Consent, memorialized in the UNDRIP and the ILO Convention 169, is one of the strongest protections of indigenous rights, which requires that consent and permission be gained from indigenous peoples prior to implementing any action that may affect their lands and livelihoods. 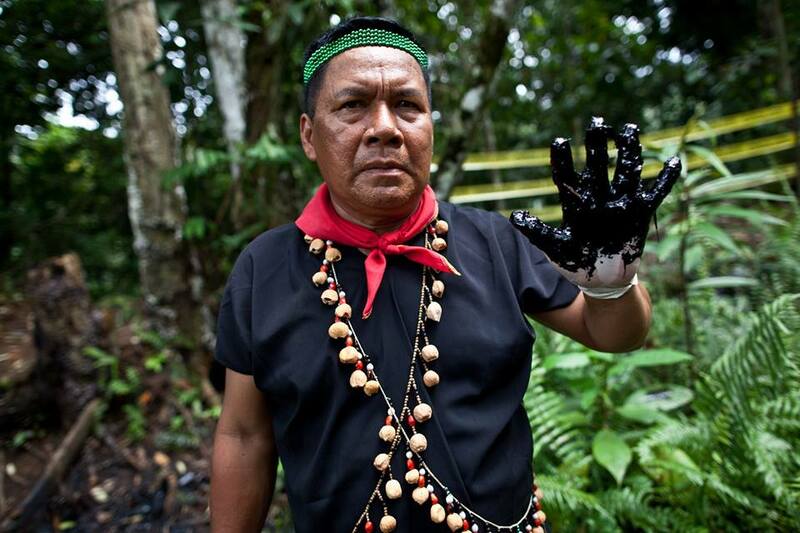 Many of the contributing factors to climate change – deforestation, mining, resource extraction, palm oil – take place on indigenous peoples’ legal or customary lands. States often fail to act on their duties to address the usurpation of native peoples’ lands and by excluding their recognition in the binding part of the Agreement, states signal their continued disregard for both indigenous rights and their own commitments to upholding international law. Second, indigenous peoples of the world’s rainforests, in particular, are the best stewards of their lands. They have lived in harmony with their natural environment for hundreds, often thousands, of years. It has been shown that rights-based approaches to forest protection, conservation and management work. They work because they prioritize the needs and knowledge of the indigenous and tribal peoples who have an established relationship with their natural homes: they view the resources that sustain their lives as beings unto themselves, worthy of equal respect, dignity and protection. Native peoples’ priorities are to preserve their lands and homes for their children and grandchildren, and recent studies have shown that deforestation rates in community managed forests, compared to strict conservation zones, are significantly lower. A recent study published by the World Resources Institute found that “indigenous peoples and local communities with legal forest rights maintain or improve their forests’ carbon storage,” and that “government actions that weaken [their] rights can lead to high carbon dioxide emissions and deforestation.”  Another study found that in areas with strong indigenous rights protections “carbon capture and averted emissions amount[ed] to 161.7 billion over 20 years within indigenous territories in the Brazilian Amazon;” and, in smaller community concessions in Guatemala, “the benefits amount to $605 million over the same period.” Juan-Carlos Altamirano notes, “When we invest in strengthening [indigenous] rights, we now know we are not only doing the right thing, we are also making a smart investment in a more climate-stable world.” The facts are clear: to protect the most biodiverse rainforests on the planet – notably in Ecuador and Indonesia – ones that the entire world depends upon for a healthy planet fit for humans, we must listen to, protect and utilize the knowledge and skills of indigenous peoples. So why are our leaders not prioritizing rights-based forest management? Often states claim that handing over control of large swaths of land that hold huge financial value because of the natural resources they contain to a small portion of the population is not fair – that natural resources are the property of the state for the benefit of all. Fair point? Maybe, but ultimately it does not hold up, and is, in fact, counterintuitive: we have seen that extracting natural resources to bolster the economy and standards of living for the “short-term-benefit-for-all” actually results in increased temperatures, more vicious storms, droughts, floods, interrupted animal behavior, etc. “For the benefit of all” would be to keep natural resources intact – they are, after all, finite. Time and again, we have heard scientists, advocates, indigenous peoples, activists and politicians say that we no longer have “the luxury of time” when thinking about or dealing with climate change. Its effects have been felt for decades and will continue to worsen. Let us not dwell on past injustices but look forward and prioritize. While indigenous peoples’ rights may not have been included in the binding portion of the Paris Agreement, there is no denying their existence and the benefit to upholding them for all people. As citizens of this interconnected and interdependent world, we must continue to demand more from our leaders, be conscious consumers and travelers, and seriously consider what can be done by each of us to advance the rights of our rainforests’ best stewards.